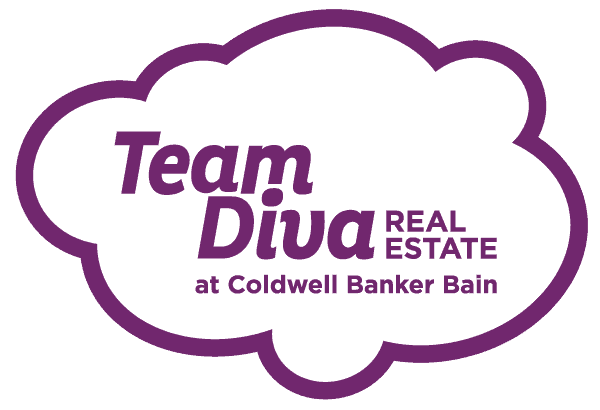 If you don’t already know – we Divas love an open floor plan. In this home, you’re greeted by the perfect layout as soon as you walk in the door. Imagine a holiday gathering where everyone is able to lounge in the living room, sit around the dining table or work together in the kitchen and not miss a moment of the fun. There is plenty of space to have all of your favorite peeps over, play host, and entertain with the best of them. And with the bedrooms tucked on one side and the media room on the other, one person can stay all night watching election results while someone else is sound alseep in their quiet corner bedroom. Speaking of media rooms, just off the dining area is this great bonus room which was a garage in its former life. There’s plenty of parking space outside, so don’t even worry about that. You’ll have more indoor space that is chock full of possibilities. Save your living room for more formal occasions and make this the chill space. Add a hide-a-bed or futon and convert this to a part-time guest room. 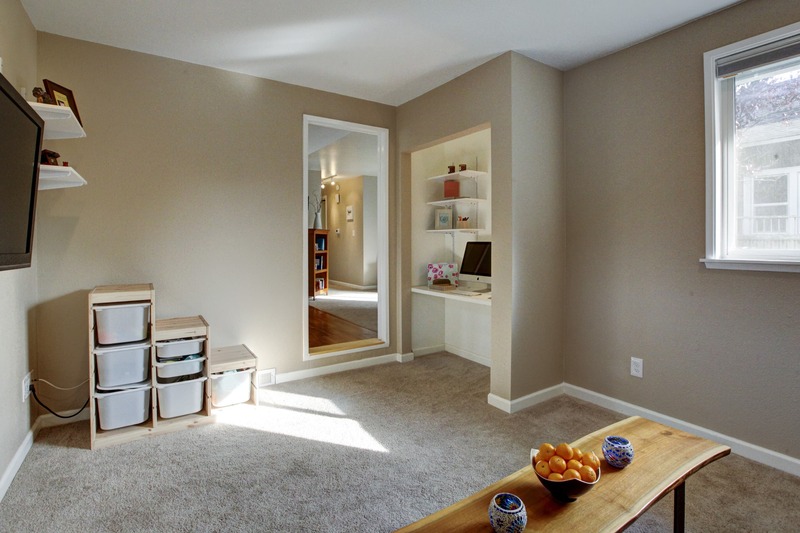 Utilize the office nook as your home business center or homework spot for your kiddos. Or make it an awesome play space. While you’re cooking, working or entertaining you can keep eyes and ears on the little ones just a few feet away. The options are endless. But wait, there’s more! Just outside, off the main walkway, you’ll find the entrance to a great storage/workspace. Hide your tool, bikes, snowboards – whatever. Extra storage and flexible living space, that’s a win-win right there! 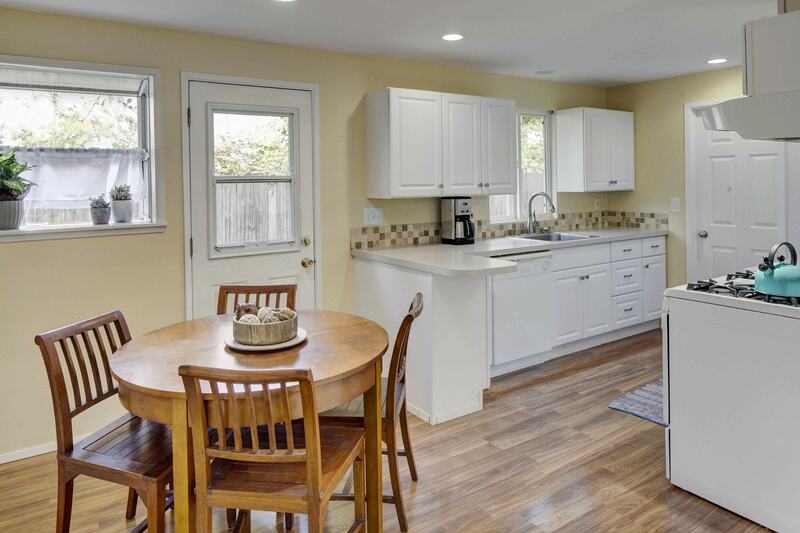 There has been a lot of amazing work done on this home in the last few years, starting with a simple kitchen remodel in 2014. Since then, there have been numerous upgrades inside and out. If you’re looking for a home that offers peace of mind for the new owner – look no further. This home as new fencing and retaining wall to ensure a wonderful outdoor space for you and your furry friends. You will be warm and protected from above, around and below you with this new roof, new downspouts, new hardiplank siding that includes a moisture barrier, and new French drains. 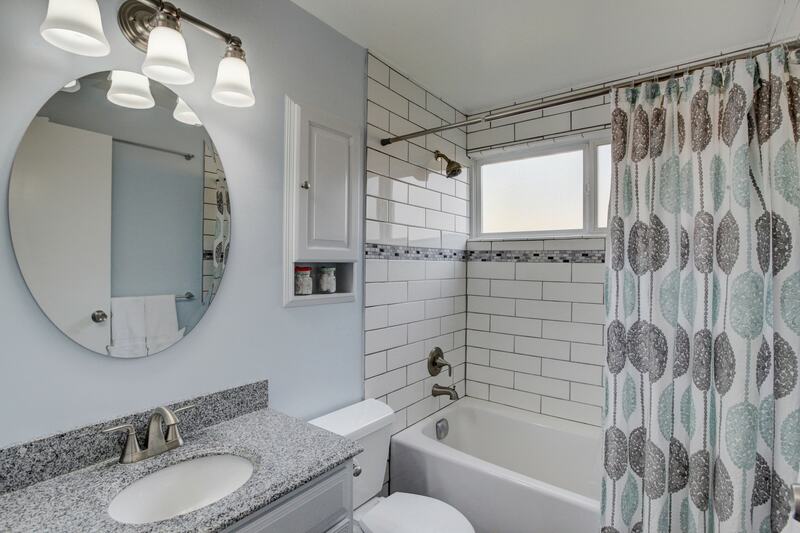 The bathroom has been swanked up with new well – everything, including new subflooring. And last but not least, new electrical receptacles, switches, new baseboard trim and new hall and nursery closet doors. This house might have been built years ago but since it’s been almost completely overhauled it lives more like at 2014 than at 1972. Yard space! This adorable home has a just as adorable a yard with its own brick patio space for BBQs and lounging in the spring and summer. 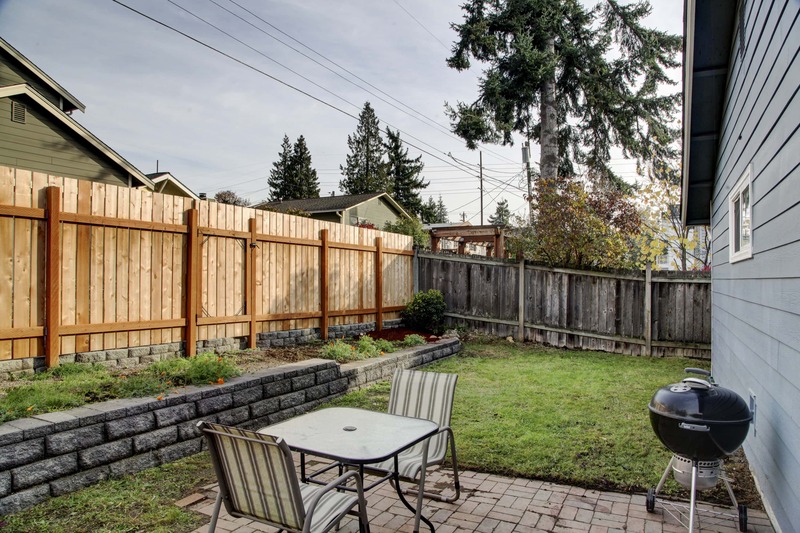 Gardening, playing, entertaining or just chilling is all possible in this spacious private yard. Complete with new fencing in the front and back (there’s even a gate to the alley) and a great new raised bed in the back. Create the veggie garden of your dreams or fill it to the brim with sunflowers and tulips (now’s the perfect time to plant those Spring bulbs!) Regardless of how you enjoy this outdoor space – there is plenty to enjoy. Living here, you’ll definitely feel like you’re part of a tight-knit and slightly quirky community. 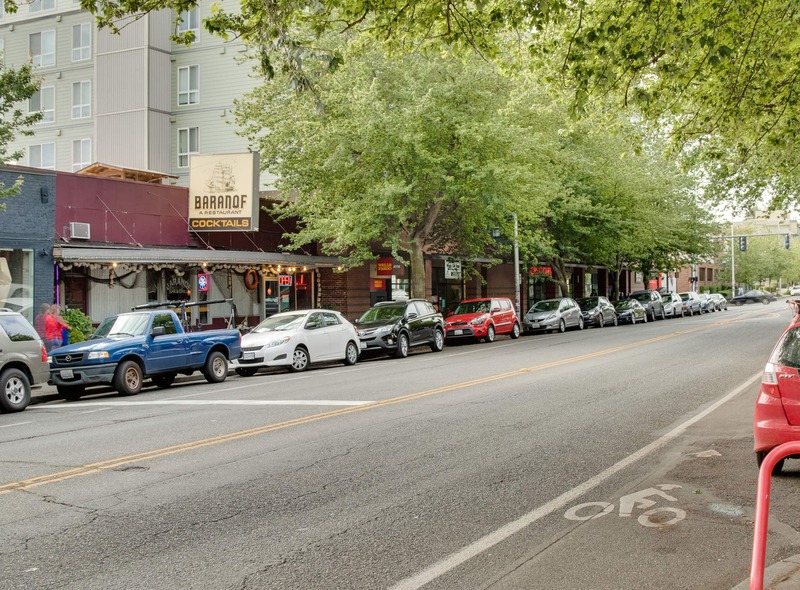 Anchored by businesses like Gordito’s, Diva Espresso, Taproot Theater, and Greenwood Space Travel Supply Co, Greenwood is alive and thriving. Greenwood Avenue, the main thoroughfare, is full of cafes, pubs, antique shops and unique boutiques. Two big annual events, the Sea Fair Parade and Classic Car Show, each bring thousands of visitors to the area. 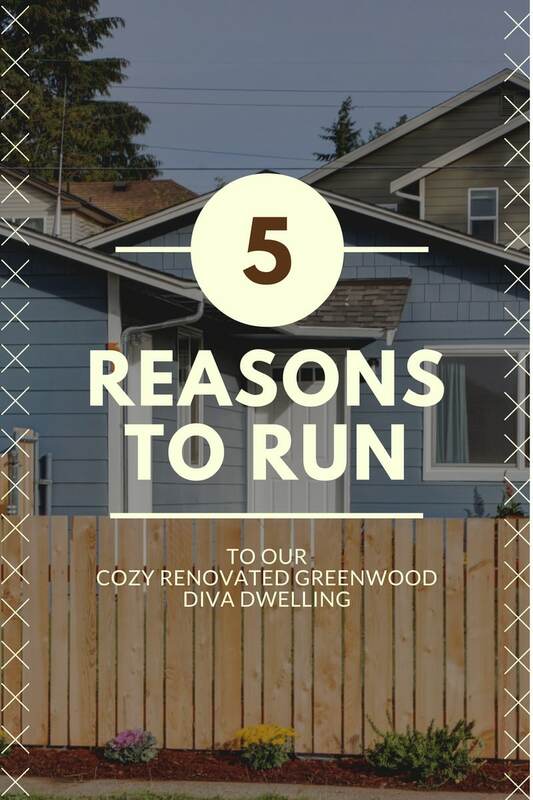 Greenwood is ideal for those who enjoy active days and evenings, but also like a good night’s sleep. This is a place anyone would be proud to call home.